Concentrates have become increasingly popular among consumers for their ease of use, the options they open up, and the ability to make them more potent. That said, they do come with their own learning curve for use and dosage which can intimidate those new to the world of concentrates. Sure, flowers come in a wide range of strains, with each having its own benefits and drawbacks depending on the consumer. But if you’re buying flowers of any strain, you’re pretty likely to know exactly what you’re going to get. With concentrate, however, there are a multitude of different forms that all fall under the “concentrates” umbrella, and each has its own optimal methods of use. Ever heard of shatter, wax, dabs, or tinctures? These are just some of the different names and forms of concentrates. Shatter, wax, crumble, sugar, honeycomb, sap, and oil are typically used to refer to the concentrate’s texture. While some consumers may prefer an oily consistency over a sticky honey-like or wax texture, the main differentiating factor that will determine whether you use one type over another is how well it will work with your chosen method of vaping. Most concentrates are extracted using some kind of solvent, such as butane or alcohol. If you’re worried about what you might be inhaling along with your concentrate, look for a “solvent-less” concentrate. Ask for help determining what form works best for your chosen delivery method. A label or product description can give you some information, but asking someone who’s tried various forms, such as someone at your dispensary, what’s worked best is going to go far. If you’re looking for the fastest, most potent method of delivering the actives in your herb, you’re going to want to try concentrates. Just as the name suggests, the amount of active compounds you’d find in dry herb product is concentrated into a higher percentage. Because of this, you can get a better hit from a much, much smaller amount of concentrate. The levels of active compounds in flower or bud herbs tend to be between 10 and 25%, while concentrates can often range between 50 and 80%. If you’re wary of going too strong too fast, tinctures tend to be lower on the scale of potency. You can always try something stronger down the line if you want. With flower, you’re pretty much going to smoke, roll, or vaporize it. But with concentrates, you have dabbing, vaping, edibles, tinctures, and ingestible oils, just to name a few methods. With concentrates, the world is your oyster, and many of the ways you can enjoy your concentrates are almost completely odorless and very discreet as well (which is an added bonus). Some concentrate delivery methods require no new gear at all to partake. In other cases, you may be able to repurpose things you likely already have on hand, like changing out a few elements on your water pipe to turn it into a dabbing rig. Even your favorite vaporizer might be capable of handling your concentrate. While we might be a little biased on the topic, our favorite method is using the Loto Legend dab rig. Because of the way concentrates are processed, all plant matter is stripped from them, leaving only the compounds you want behind, thus making the experience a very pure and potent one. Remember that black tar you see at the bottom of your glass pipe when you’ve smoked some loose leaf material? That’s burnt plant material, and some of the residue and resins make their way into your lungs. Not good. With concentrates, all the plant matter is gone, giving you a cleaner, healthier delivery method. 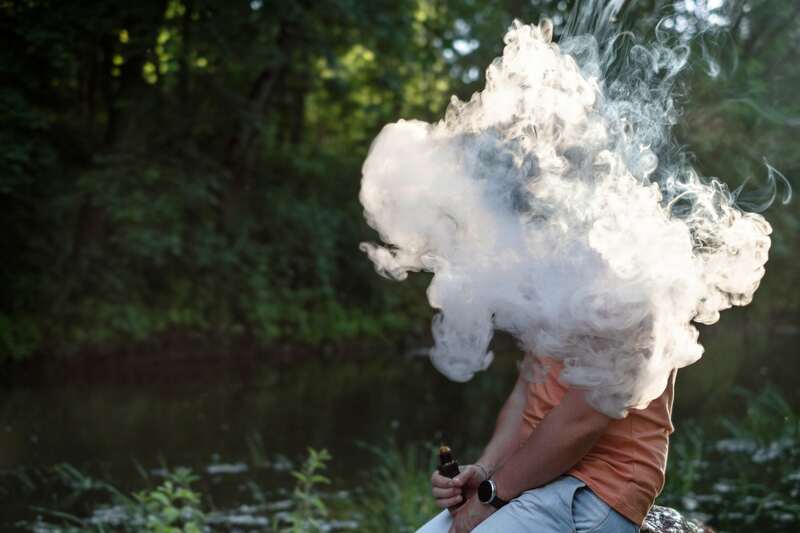 Many concentrate delivery methods, such as vaping, heat the concentrate to high enough temperatures to release the beneficial compounds, but not hot enough to create combustion and harmful smoke. Additionally, if you’re using tinctures or ingestible oils, there’s no heat involved at all. If you’re a fan of the flavor, you might want to stick with flower or dry herbs. However, thanks to new methods of processing and delivery, herb concentrates are starting to compete with dry plant material on this level, too. And if you’re into vaping, you can make your own flavored vape juice so you have the best of both worlds. With the wide variety of products and revolutionary new delivery methods on the market today, it’s easier than ever to experiment and find the right blend of concentrates or flower that’s perfect for you.